The fourth China Satellite Navigation Conference (CSNC 2013) wound up its three-day run on Friday (May 17, 2013) in Wuhan — by most measures a clear success for an event that has become the nation’s leading GNSS forum. “This conference shows the results of academic research and an inspiration for commercial development,” conference chairman Sun Jiadong told the opening plenary session audience. 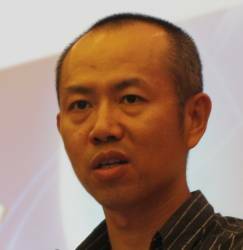 Sun, chief designer of the Beidou system, holds academician status with both the Chinese Academy of Sciences and the International Academy of Astronautics. Satellite navigation is changing and reshaping traditional industries, Sun said, which is triggering a huge market potential. Indeed, the conference underlined China’s intention to rapidly commercialize its GNSS system, which reached regional operational status last December with fourteen working satellites and is scheduled to have full global reach by 2020. Some 109 exhibitors — including large, medium, and small companies as well as numerous institutes and associations — filled the large commercial exposition area. "Industries related to the BeiDou system are entering a booming development stage," said Qiangwen Yang, a senior engineer at the China Satellite Navigation Office (CSNO). By 2015 China is expected to invest 7 billion yuan (US$1.13 billion) to support the development of industries related to BeiDou, according to the CSNO, on top of 3.5 billion already invested to date. CSNO Director Chengqi Ran pointed out that BeiDou enjoys support from the highest levels of the Chinese government, including the National Development and Reform Commission and the Ministry of Science and Technology (MOST), which prominently included satellite navigation in the department’s 12th Five Year Plan. As the support from the central government continues, Yang said that the BeiDou system will bring new economic growth to the country. Jingnan Liu, executive chairman of the conference and an academician with the Chinese Academy of Engineering, predicted that commercial use of GNSS could be worth hundreds of billions of U.S. dollars. Liu heads the China National Engineering Research Center for Satellite Positioning Systems located along with the GNSS Research Center at Wuhan University, where he is a former president. During the course of the seminar, speakers identified leading international organizations involved in standards-setting, discussed the treatment of intellectual property (IP) under patent protection, and laid out strategies for securing Chinese IP while gaining access to foreign GNSS-related IP through licensing and other means. China clearly intends to learn from the experience of GNSS industries in other nations. A presentation in the seminar by Fang Bu, of the China Patent Office, State Intellectual Property Office, revealed a thorough analysis of Trimble, NovAtel, and Google patents and strategies in the GNSS marketplace. Bu pointed out that Trimble had acquired 73 companies between 1989 and 2012, divided between core technology IP and application markets. Later, after recounting the patents that underlie any new Google service, Bu urged Chinese manufacturers to avoid reinventing technical solutions already available. That point was reinforced by Shunde Li, from the Chinese Academy of Social Sciences’ Institute of Law, who provided a lengthy tutorial on the key differences between national and international patent protection and IPR. He described the important conventions, IP protections, and international players, such as the World Trade Organization (WTO), that Chinese companies encounter as they take their products into a global market. Another interesting presentation came from Lei Shi, legal counsel for antenna manufacturer Harxon Corporation. 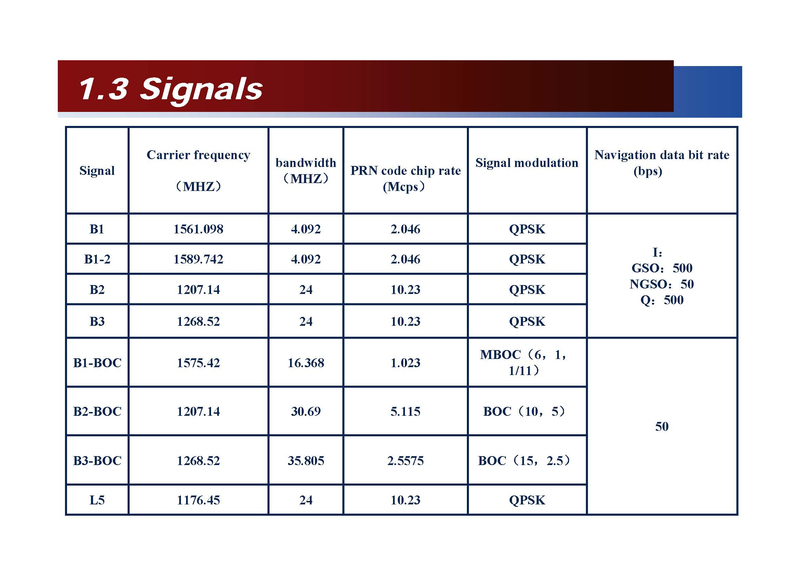 She traced the history and implications of the controversial UK Ministry of Defense effort to patent key elements of the modernized GPS civil signal design (L1C) and its European multiplex binary offset carrier (MBOC) counterpart. Shi pointed out that the MoD’s commercialization arm, Ploughshares Innovations Ltd., had secured related patents in 11 countries, including China. Noting the agreement reached by the United States and the UK in January regarding the patents only covered GPS but not Galileo, she warned the Britain might still attempt to assert intellectual property rights (IPR) for related GNSS signals in China. Another indicator of the global aspirations for BeiDou was the preparation and presentation of the conference itself. The CSNC has broad and high-level backing from the Chinese national government and agencies, who sponsored the event and populated the program with prominent representatives. Although foreign participants only numbered around 100 or so — many of whom presented during a half-day session organized in cooperation with the U.S. Institute of Navigation (ION), excellent simultaneous English translation at all of the technical sessions for the first time this year made the event more accessible to non-Chinese attendees. This practice is expected to continue at next year’s event scheduled for May 2014 in Nanjing, according to the conference secretary-general, Haitao Wu, chief engineer at the Chinese Academy of Science Navigation Headquarter Office. China currently has 14 operational satellites in a regional system whose footprint stretches from 55˚ East to 180˚ East and delivers 10-meter real-time positioning accuracy and one-way 55-nanosecond timing accuracy, according to Ran. One source at the conference told Inside GNSS that five test satellites will be launched beginning in 2014 to help Beidou system engineers evaluate the third-phase technologies, including new Chinese-built atomic clocks and new signal designs and frequency.